Phenethylamines marked with an * have not been reported as a cactus alkaloid. 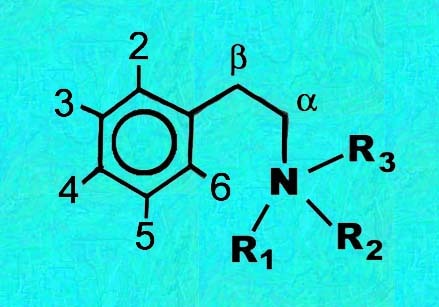 Generic phenethylamine structure is above. C(O)Me: Acetyl na: Not applicable. Items marked with an * have not been reported as a cactus alkaloid.These were included only for structural comparisons. Items marked with an ** were believed to be an extraction artifact.